Directed by Walter Hill. With David Carradine, Stacy Keach, Dennis Quaid, Keith Carradine. 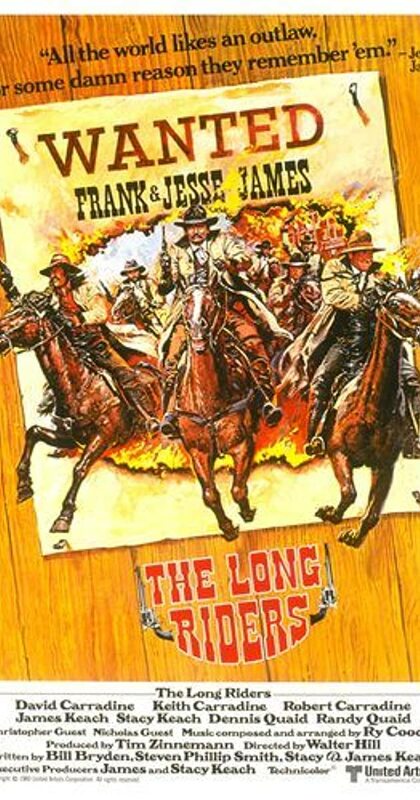 The origins, exploits and the ultimate fate of the Jesse James gang is told in a sympathetic portrayal of the bank robbers made up of brothers who begin their legendary bank raids because of revenge.